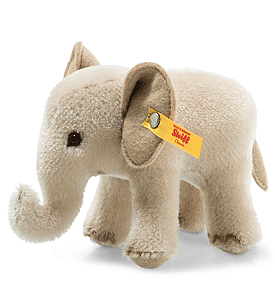 Wildlife Elephant in Gift Box is from the Steiff Classic collection and made in beautiful light grey mohair. 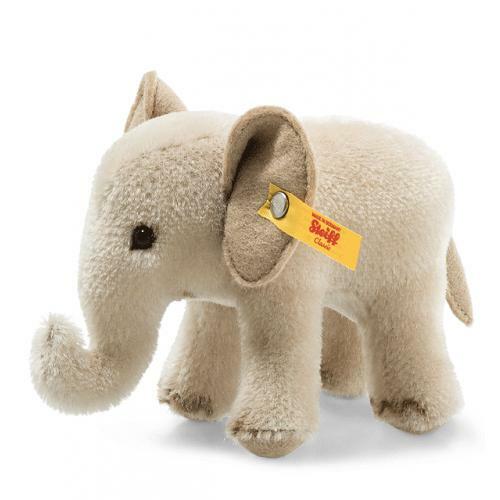 This enchanting Wildlife Giftbox elephant in the finest light grey mohair—with brown at the corners of his eyes, little mouth and toes—is sure to make the heart of any collector skip a beat. His sweet black eyes certainly help make him a favourite. He stands on the ground on all fours without falling over. He is always ready to bring a smile to your face and hear your kind words. This also makes him the perfect gift for those who appreciate lovable creatures. 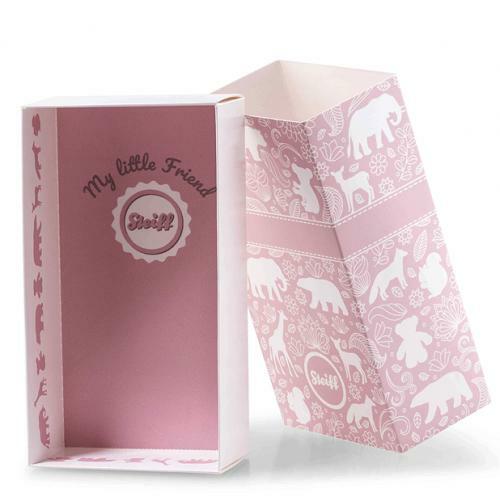 The beautiful gift box with animal print design highlights his special value.